Vaping affects teens differently than it does adults. Dr. Levy has a program where she helps vape addicted kids and she says many show psychiatric symptoms rarely seen in adults or with traditional cigarettes. Some kids have anxiety or can’t focus. 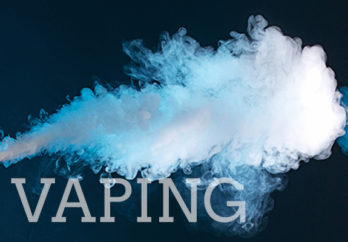 And while this is happening, vaping has become common place among many high schools, which has prompted the U.S. Food and Drug Administration to try to handle the epidemic levels of use among minors and high schoolers. Despite the early praise that vaping received as a safer alternative to cigarettes for adult smokers, experts say youth are being hit hard by a combination of how vapes deliver the nicotine and how adolescent brains are wired to receive it. The long-term effects are unclear, and Dr. Levy says, “We let this Frankenstein loose without knowing what was going to happen.” While a Juul pod contains the same amount of nicotine as a pack of cigarettes, it may not hit you the same. The way these peaks affect your brain and how quickly it enters the bloodstream and brain is different. Levy also says that many kids report symptoms that sound like nicotine toxicity such as headaches and stomach aches. She says the nicotine levels in the blood peak higher than traditional cigarettes and experts claim more research is still needed to understand how vapes really work in the body and brain. In a study conducted last year, higher levels of a chemical cotinine, which is a breakdown product of nicotine, were found in urine of adolescent vapers. One reason for this is something called “nicotine salts.” This is a type of vape juice that allows the drug to be absorbed by the body more quickly without the unpleasant taste. The salt is created by combining nicotine with an organic acid. Experts also fear that this along with other ingredients may cause problems down the line, but it is too soon to tell. Beyond changing the chemistry of the nicotine, vape companies are also coming under fire for adding pleasant flavors to their juices to appeal to a younger audience. The absence of harshness in these vapes may also lead to vapers taking more frequent hits. Overall, many issues coincide with vaping, especially in minors, and the more research that comes out, the worse it seems to get.